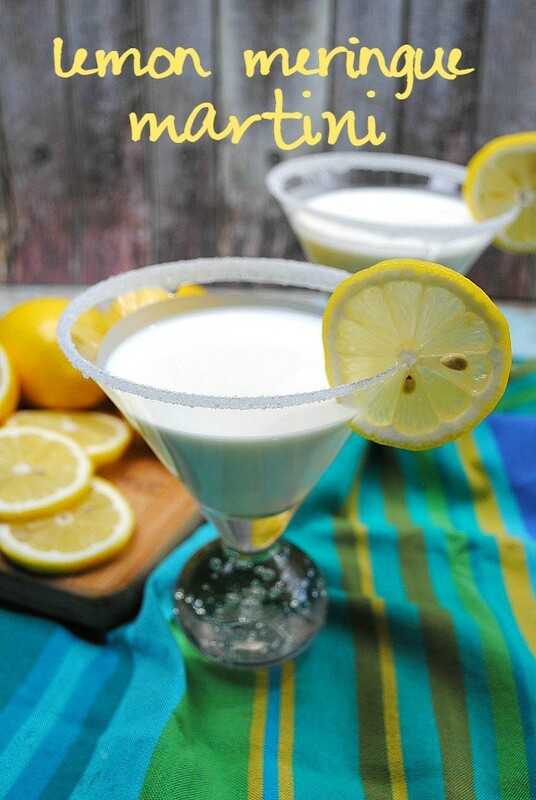 The Lemon Meringue Martini - The best lemon martini recipe! Lemons are in season, and boy, do we have a delicious lemon martini for you! 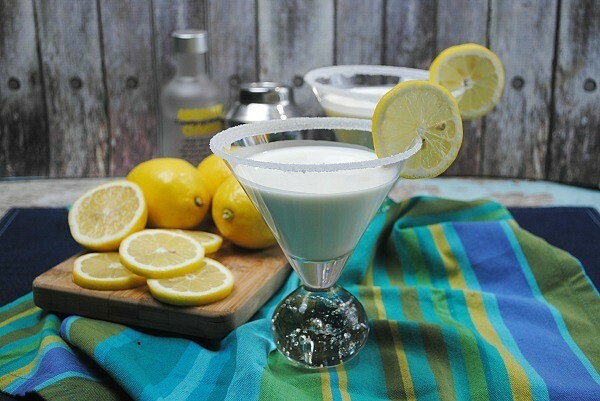 If you are a fan of lemon recipes, give this tasty lemon meringue martini a try. Sweet and tart, it’s perfect for entertaining this spring and tastes just like that good old fashioned lemon meringue pie you know and love – but as a cocktail! 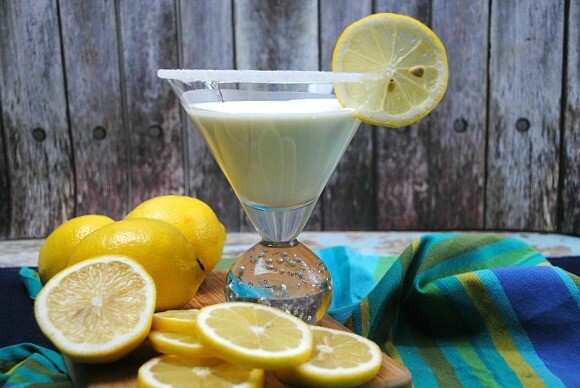 The Lemon Meringue Martini – The best lemon martini recipe! 6 martini glasses – we love this set! 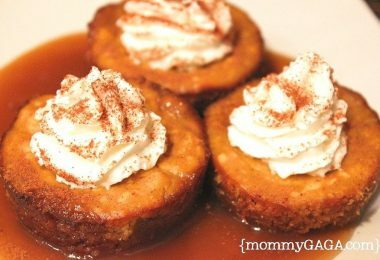 Sugar the rim: Grab your 2 small appetizer plates, pour the granulated sugar on one, and the simple syrup on the other. Dip the rim of each martini glass into the simple syrup first, then dip into the granulated sugar. Set aside. Shake the martini: Using your large shaker, fill it 1/4 full with ice and add the limoncello liqueur, vodka, whipped vodka, lemonade and half and half. Close tight and shake well for 30 seconds. Slowly strain the lemon martini mixture into the martini glasses, be careful to avoid the sugar rim! 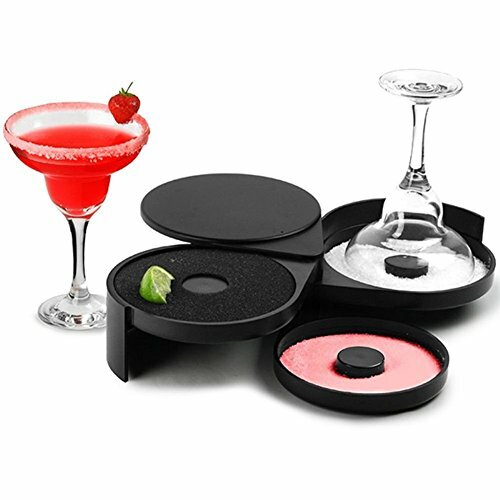 I actually LOVE this cocktail glass rimmer set! If you don’t have small plates, it would go perfect with this lemon cocktail recipe. You can also use it with salt and lime juice for margaritas in the future! What are your favorite lemon cocktail recipes? This drink sounds really good. 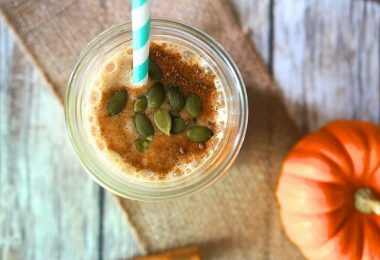 I love lemon flavor and this a perfect drink for Spring. I have never had a lemon cocktail, and this drink is amazing and fun to make. It looks so delicious and very pretty. 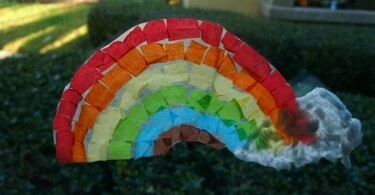 I would love to make this for my birthday party that is coming up. Thanks for sharing.